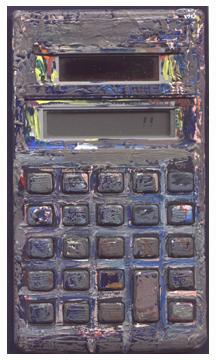 Medium: acrylic on solar-powered calculator attached to Masonite board. Notes: This painting can still be used as a calculator, but the numbers are not visible. The artist gave this work to his accountant Ken Zealand.